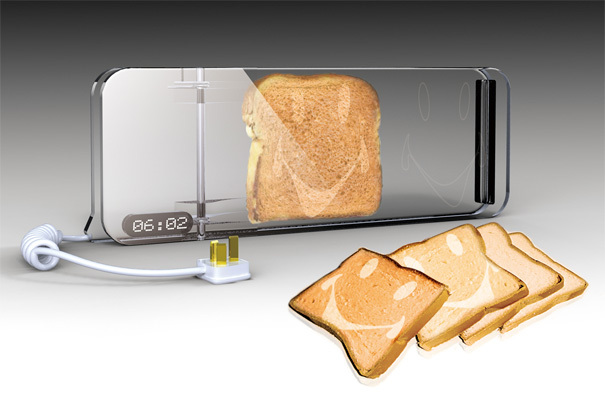 Make a different in your day with a smile on you toast while cooking. According to yankodesign, Think hair straightening iron for a moment, similar to that clasp design is this appliance. 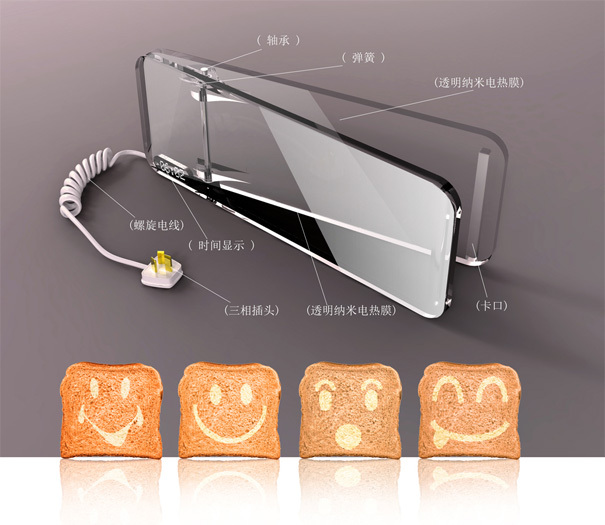 Difference lies in the electric-heating nano-membrane and different smiley faces you can use to singe on the bread. The transparent style really adds to the elegance and the timer display (with heating controls) makes sure you don’t ever burn your toasts! Smile your morning blues away.